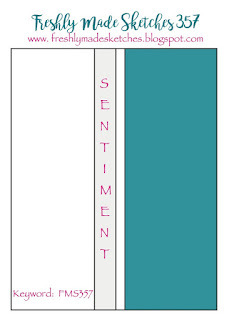 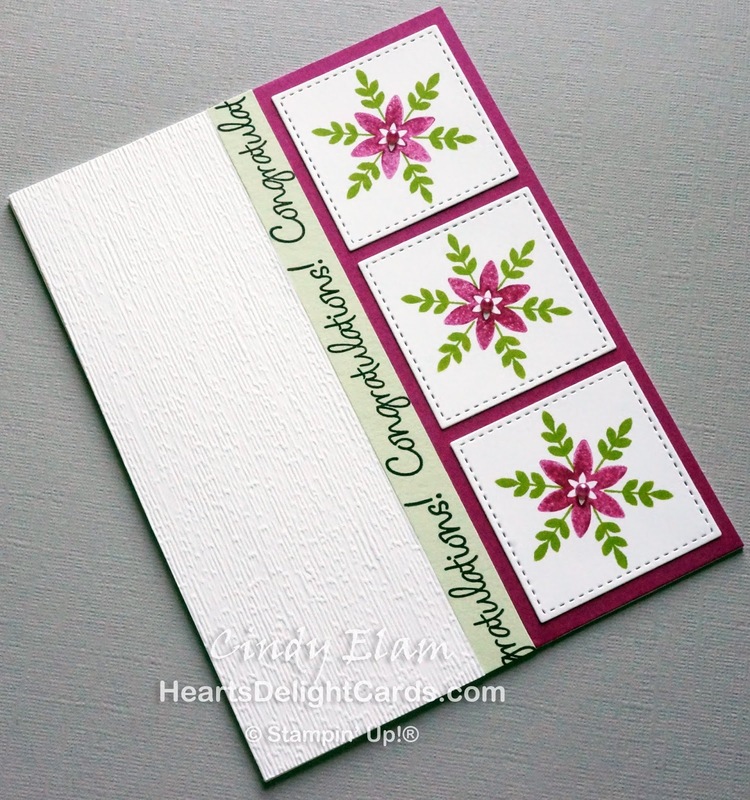 Heart's Delight Cards: Happy World Cardmaking Day! 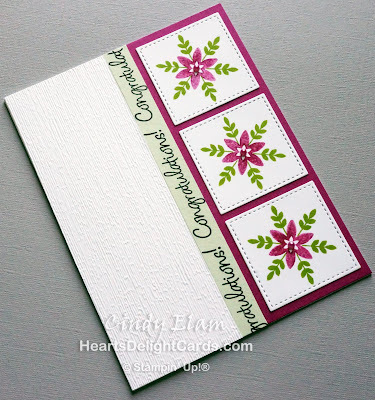 Anyway, I was inspired by this week's sketch over at Freshly Made Sketches and I figured Happiness Surrounds was an entirely appropriate feeling (and stamp set). 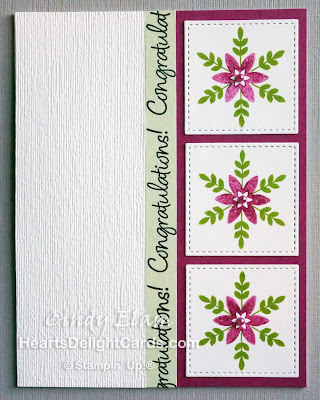 This is one of the two limited-time releases coming next month, and they are both awesome! 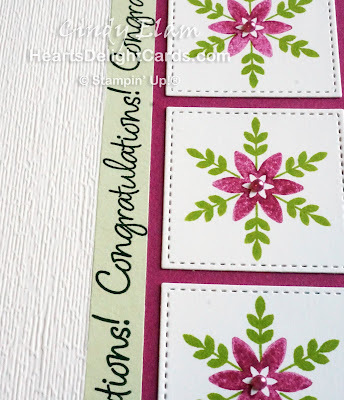 I stamped off the Berry Burst blossom (say that five times fast) once to lighten the color a bit. 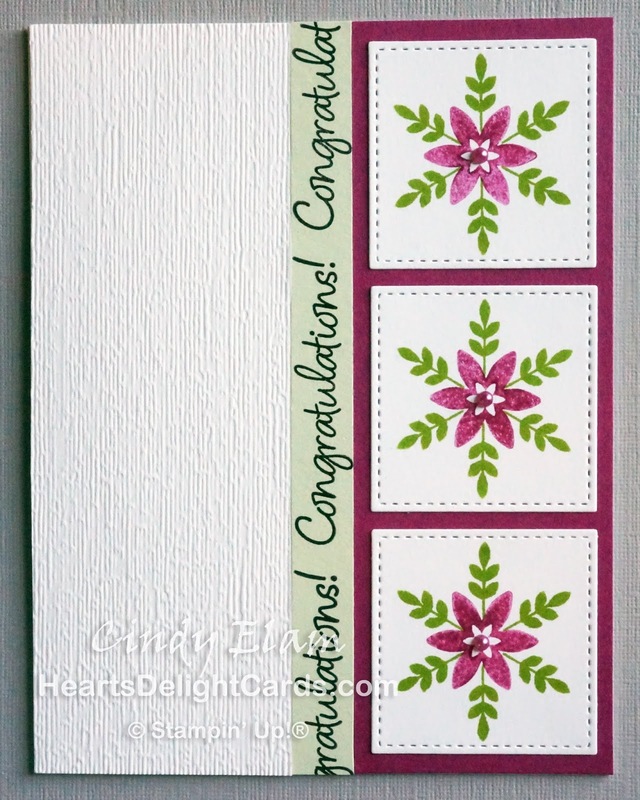 There are dies that fit the flower and the leaf (or snowflake, if you will) in the background, but I thought just simple stamping would be nice for a change. Well, I did use the Stitched Shapes for the squares, but you know what I mean. 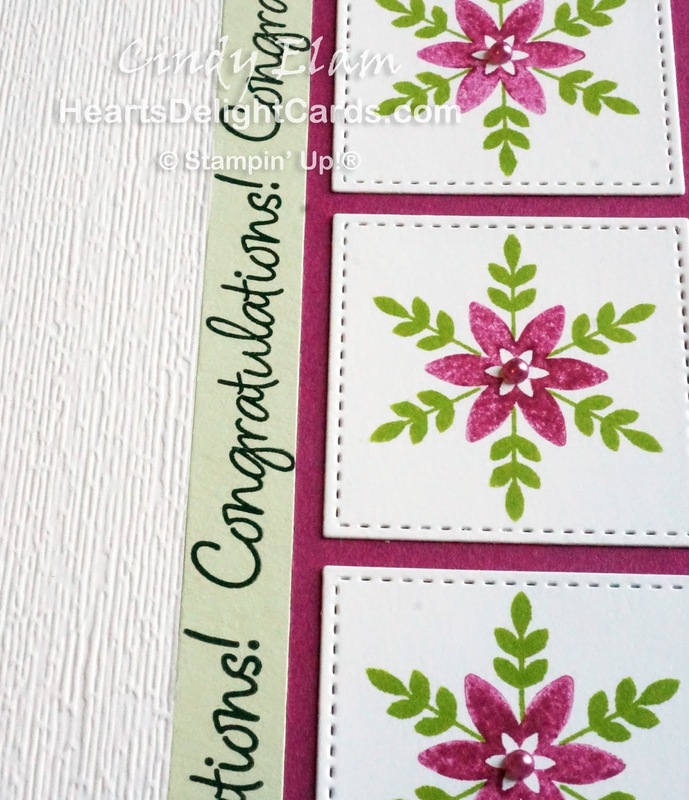 So, what did YOU make for World Cardmaking Day?